We are an established business with over 15 years experience in the IT sector. We offer a professional and personal service for all your home and office computer needs tailored to your individual requirements. 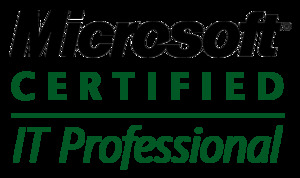 All of our technicians are both Windows and Mac accredited in addition to holding a relevant honours degree. We provide support in Bury St Edmunds, Thurston, Elmswell and the surrounding areas. We provide comprehensive IT support in your home or office. Alternatively, we can arrange a local pick up/return service, both of which are tailored to your personal requirements and timescales. We are not tied to computer manufacturers and so can give you independent buying advice so that you can choose from the best options for your circumstances. Our rates are very competitive and we would be delighted to discuss how we can help you. Outstanding customer service is at the heart of our business. We aim to provide you with a professional and affordable service ensuring you receive 100% satisfaction. So give us a call on (01284) 764574 and see how we can help you!